This post contains a correction. 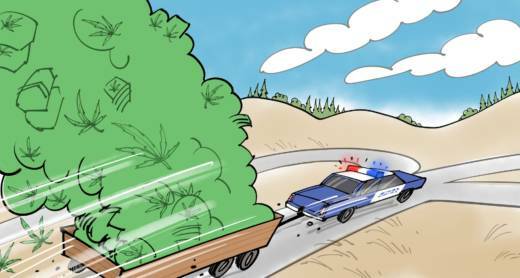 ocumentation for the destruction of about 800 pounds of marijuana seized by Rohnert Park Department of Public Safety officers in recent years is missing from court files, KQED has found, despite the officers writing in police reports that the court ordered the evidence destroyed. Nine drivers and several attorneys say Rohnert Park police officers have repeatedly conducted questionable traffic stops and illegally seized cash and marijuana. 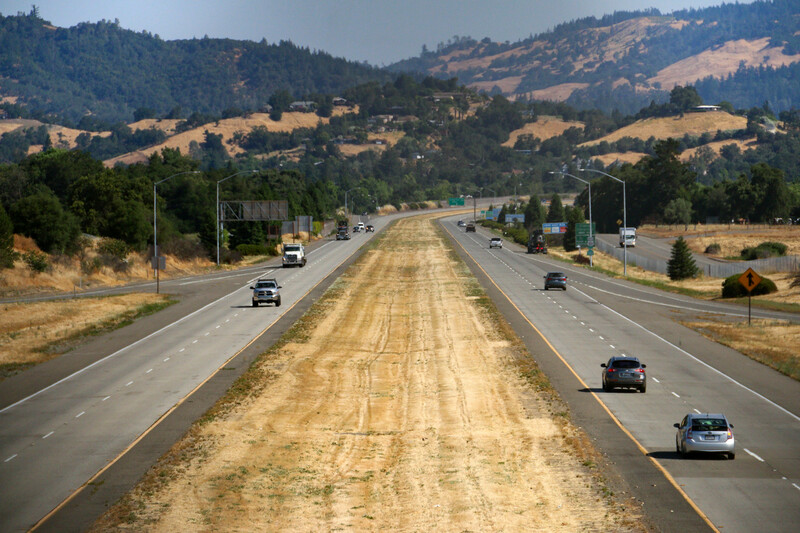 Rohnert Park has released 40 police reports involving traffic stops by former police Sgt. Jacy Tatum and his partners Matthew Snodgrass and Joseph Huffaker in response to a public records request. 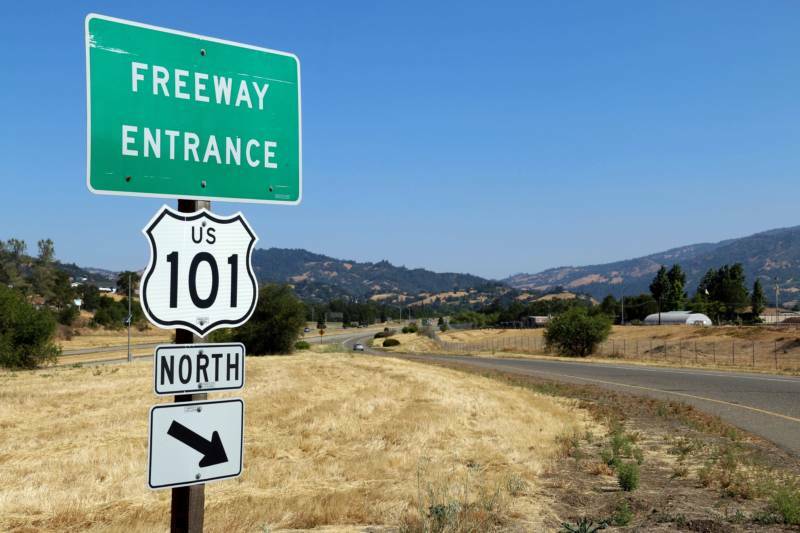 KQED requested the reports after nine drivers came forward with accounts of questionable stops and seizures along Highway 101 involving Rohnert Park police officers. The city plans to release more incident reports on a rolling basis. Jacy Tatum no longer works for the city of Rohnert Park, Assistant City Manager Don Schwartz said on June 22. Huffaker still works for the city. The incident reports show that Tatum and his partners were responsible for seizing hundreds of pounds of marijuana during the traffic stops. The city awarded Tatum for this work in 2015. Police and court records indicate he was given a wide latitude to conduct drug and cash seizures with little oversight. For example, on Halloween in 2016, Tatum and Huffaker made a standard stop, pulling over a man from Woodland Hills for not having his headlights on in the rain. Huffaker wrote in the report that he smelled marijuana and then searched the vehicle. “Inside the trunk were four large black garbage bags. Each bag was filled with one pound bags of processed marijuana. There was also approximately 17 lbs of processed marijuana in one pound bags loose in the trunk,” Huffaker wrote in the report. Tatum and Huffaker seized a total of 100 pounds of marijuana in that stop. A 10-pound sample was booked into evidence, Huffaker wrote, and he drafted a destruction order for the remaining 90 pounds. estruction orders are supposed to be filed with Sonoma County Superior Court, according to Rohnert Park Property Unit Supervisor Christine Giordano. State law requires that law enforcement file an affidavit with the court within 30 days of destruction. But a review of all destruction orders filed with the court from 2014 to 2018 found no destruction orders or affidavits that match the amount, the case number or the driver in the 2016 Halloween traffic stop. Destruction orders were missing in at least six other cases. Schwartz, the assistant city manager, wouldn’t clarify the destruction procedures of the Rohnert Park Department of Public Safety or explain what happened to the approximately 800 pounds of seized cannabis that was purportedly destroyed but not documented. Schwartz said he couldn’t comment on the missing destruction orders because they could relate to an ongoing internal investigation into Tatum and Huffaker, which the city launched around April of this year. Justin Buffington, an attorney who represents Tatum and Huffaker, did not respond to multiple requests for comment on this story. Attorney Joe Russoniello, who used to be an FBI agent and U.S. attorney for the Northern District of California, said it is the responsibility of the police department’s hierarchy to make sure that there is legitimate oversight. atum has a history of tension with Rohnert Park Department of Public Safety Chief Brian Masterson, court records show. He successfully fought attempted discipline in 2009 for failing to register an assault rifle with the state Department of Justice. Tatum then sued the chief alleging racial discrimination in 2012. Tatum is African-American. 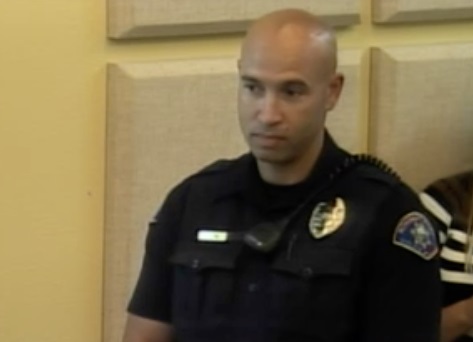 Screen shot of Rohnert Park police Sgt. Jacy Tatum being recognized by the City Council for his work on drug seizures in 2015. The lawsuit alleged Tatum was unfairly passed over to become a training officer. It cites responses from supervisors who questioned his judgment and “willingness to set the best example” after Tatum sent an email to the entire Department of Public Safety and City Council with some thoughts on police tactics. Tatum was promoted to sergeant in 2015. In some cases, Rohnert Park Public Safety officers did file destruction orders with the court. But those, too, raise questions about internal oversight of Tatum and the department’s drug interdiction work. The department gave Tatum the responsibility for seizing and destroying large amounts of marijuana. In 2016 and 2017, about 720 pounds of marijuana was released to Tatum for disposal, according to destruction orders filed with the court. atum and Huffaker are currently under investigation by Rohnert Park for their involvement in a suspicious marijuana seizure on Dec. 5, 2017. But the city had notice of at least one other questionable marijuana seizure by the two a year earlier. The officers seized 47 pounds of medical cannabis from Huedell Freeman during a traffic stop on Dec. 29, 2016. Freeman’s lawyer, Hannah Nelson, followed up with the department a few days later by phone and email asking that the cannabis, worth a year of income to Freeman, be returned to him as soon as possible. The Property Unit Supervisor should ensure that marijuana, drug paraphernalia or other related property seized from a person engaged or assisting in the use of medical marijuana is not destroyed pending any charges and without a court order. Upon the prosecutor’s decision to forgo prosecution, or the dismissal of charges or an acquittal, the Property Unit Supervisor should, as soon as practicable, return to the person from whom it was seized any usable medical marijuana, plants, drug paraphernalia or other related property. That protocol was not followed in Freeman's case. His marijuana was not returned. The court has no record of a destruction order. No charges were ever filed. Freeman filed a claim with the city last year for the value of his seized property, but his claim was denied. Now, more than a year and a half after the traffic stop, Nelson said she still doesn’t know if Freeman’s cannabis was actually destroyed or not. This story was reported in collaboration with the North Coast Journal.